I have been tossing this word ‘Satisfaction’ around in my head for the last few days after reading it in a list. Satisfaction is in the first level, it is a positive emotion that makes us feel good. 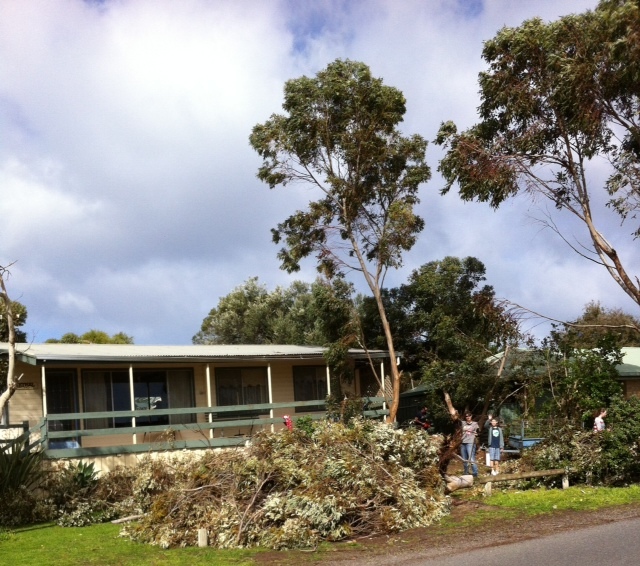 On the weekend as a family we went to Victor Harbour to help clean up my parents property. A storm had blown down a beautiful, big tree and strewn branches and twigs everywhere. It took a few hours to drag branches, mow lawns, rake leaves, sweep, stack firewood and my husband got to spend time on the end of a chainsaw! The kids helped! We could not have got it done without them. Along the way there were a few grizzles, not many, and they came mainly as they got tired. But, the difference between when we had started and the end of the day was amazing! The sense of satisfaction for a hard days work was felt by all, in fact it was a privilege to be able to do it! In this era, many computer games don’t really have an end point, there is so much information out there that you never get to the end of a topic, there is always more that you can do! In the classroom how does this effect the kids we are teaching? At home, how often do our kids do things that give a sense of satisfaction? Mmm. I am still pondering the idea! What things do we do that give us a sense of satisfaction? Love to hear your thoughts.